Peter is Managing Director and Regional Director Far East. He sets the overall strategy and objectives for the company and liaises with ODE’s shareholders, DORIS Engineering. 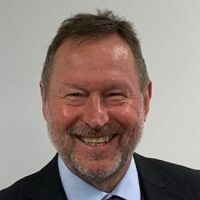 He has been instrumental in all of the major developments at ODE, including establishing operations in Great Yarmouth and Aberdeen in the UK, and overseas in Egypt as well as numerous project operations in areas such as Tunisia, Syria and West Africa. Peter also recognised that ODE’s extensive expertise could be used in the renewable energy industry, and as a result, ODE has developed a strong reputation within the renewables sector. He is currently based in ODE’s new office in Taipei, Taiwan as a note of the Company’s commitment to establishing a strong base in renewables in the Far East. 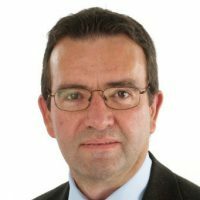 Peter has over 30 years’ experience in the oil and gas business, embracing engineering design, construction and operation of all nature of project facilities; fixed, floating, onshore and offshore. He was also directly responsible for the engineering and project management of the award winning Ormonde Offshore Windfarm Project and numerous other renewable developments, including the ongoing Hai Long Project in Taiwan. Paul has over 35 years’ experience in the upstream oil and gas sector. Currently based in Cairo, he is the Global Business Development Director with a prime focus on the EMEA Region. This role follows on from Paul having spent the previous 7 years as the Regional Director for ODE’s North Africa operations. In this capacity he was also the General Manager of ODE North Africa LLC, a registered Egyptian company and a wholly owned subsidiary. This has seen the growth of the subsidiary into a recognised engineering centre working with IOC’s, NOC’s and also providing the ODE Group with a high value engineering centre to support its international growth. Prior to moving to an overseas role, Paul was Corporate Operations Director for ODE, responsible for all aspects of operational excellence of the company. Before this, he was the Regional Director for Great Yarmouth. In this capacity he developed the Great Yarmouth office from a single client operation to a multi-client asset management and engineering organisation working across both the oil & gas sector and offshore renewables. Joining ODE as a Project Manager, he delivered a variety of international projects including the use of GRP materials offshore, converting a jack-up rig to an early production facility and a major de-manning project for an offshore gas hub. Paul is a Chartered Manager (CMgr) and a full member of the Chartered Management Institute. Jeff is the London Regional Director and the Director of New Ventures. This role includes overall responsibility for all aspects of ODE’s business carried out from the London office, ODE’s Headquarters, including P&L, Business Development and delivery of UK and international projects, technical studies, and consultancy services. In addition, Jeff is responsible within the ODE Group for developing and coordinating new business ventures across; all company regions, across different energy sectors, merging different technologies across energy sectors, and the investigation and implementation of new technologies. 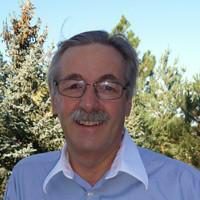 A University of Colorado graduate in Chemical Engineering, Jeff has more than 36 years’ experience in the energy sector. Over the last few years Jeff has been actively exploring worldwide development challenges in Oil & Gas, in Renewables, and in the merging and use of different technologies. A main focus has been on step change technology and life cycle cost reduction opportunities. Prior to ODE, Jeff had a successful career working for ConocoPhillips in the UK for 30 years, having worked for Texaco in the US before that. Over these years, Jeff has been responsible for the successful completion, primarily in the Southern Sector of the North Sea, of many offshore facility & drilling projects comprising of minimum facilities wellhead platforms, infrastructure expansion including compression & accommodation platforms, subsea tie-backs, and new pipeline infrastructure. Many of these projects used standardised design approaches to achieve cost efficiency and project deliverability targets. In addition, Jeff has been involved with commercial coordination, conceptual & petroleum engineering, appraisal planning, northern sector oil modification projects, and also onshore Oil & Gas developments in southern England and the Rocky Mountains in Continental US. Paul is the Regional Director for Great Yarmouth where he has been a Senior Manager for over 15 years. His role involves overall responsibility for all aspects of ODE’s business carried out from the Great Yarmouth office; that includes all P&L, business development and delivery of projects. 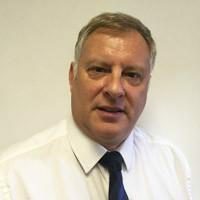 Paul has more than 30 years experience in the energy/marine/renewables related industries with extensive project and contract management capability. That experience has been gained working for various local and international companies such as Aker Kvaerner, Shell, Grootcon, McAlpine, Protech and SLP. Starting his working life as an Apprentice at Brooke Marine shipbuilders in Lowestoft, he progressed with differing organisations through various supervision roles into senior management positions. During that time he has continued his education to MSc level. 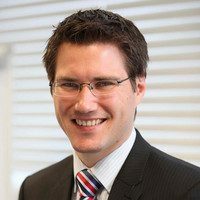 As Company Secretary & Director of Finance for ODE, Rob is responsible for the provision of effective financial controls and reporting structures across all of the activities of the company and of its subsidiaries both in the UK and overseas. Rob joined ODE in 2009 having previously held similar roles in companies as diverse as Catering and Telecommunications. Andy is the Commercial Director for ODE with general responsibilities for contracts, procurement and proposals. 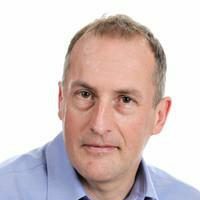 Andy is a Chartered Quality Professional, member of the CQI and has completed an MBA in Global Energy with Warwick Business School (WBS). Paul is Director of Safety, Health, Environment, Quality and Human Resources (SHEQ and HR). He is a full member of the ODE Executive Management Board reporting on SHEQ and HR matters, a member of the Major Accident Management Board and is responsible for the strategic management and operational delivery of SHEQ and HR within ODE. With a background in Civil/Structural Engineering, he has over 30 years’ experience gained within a diverse range of industries. 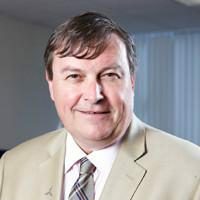 A Chartered Member of the Institution of Occupational Safety and Health (CMIOSH) and a Chartered Manager (CMgr MCMI), he has worked extensively in both unionized and non-unionized environments and has held senior positions within contracting and operating organizations in both the offshore Oil & Gas and Renewables industries. 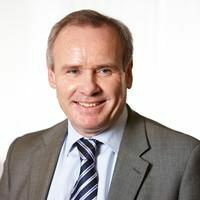 Gerry is Business Development Director for the ODE Group. 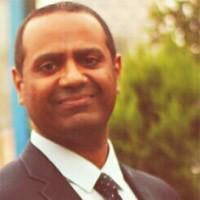 He has an extensive background in the Oil and Gas industry, working in the areas of design, construction, operations and maintenance, both onshore and offshore and for the last 20 years in business development and strategic improvement. Gerry has overall responsibility for business development and the sales and marketing functions. 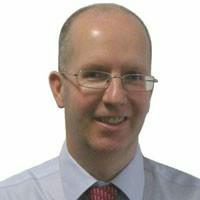 Garron is the Sales and Marketing Manager for ODE, with responsibility for both oil & gas and marine renewable sectors. Garron’s history includes working for a number of highly innovative companies in the energy sector with projects as diverse as hydrogen fuel cells, down hole completion tools and underground coal gasification. Garron has an international background having worked across Europe, the Former Soviet Union and North America. In addition to his Sales and Marketing duties Garron is Market Champion for the deep water wind foundation system Articulated Wind Column (AWC). Dan Woodman is currently based in USA and is ODE’s US Business Development Manager for Offshore Renewable Energy. Dan is an internationally experienced engineering manager and business development manager with 20yrs experience in Offshore Oil & Gas and 17 years focused on the Offshore Renewable Energy industry. 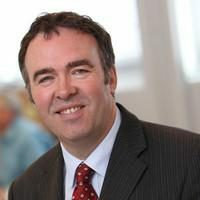 He has been involved from the early stage Round 1 of the UK offshore wind industry and was instrumental in helping establish ODE as one of the leading engineering and project management companies in the offshore wind industry today. Following a traditional apprenticeship, Dan obtained a degree in Mechanical Engineering, worked as Chief Engineer for a major subsea wellhead and production equipment manufacturer, before transferring to the developing Offshore Renewable Industry focusing mainly on business development. Steve is based in Cairo and is ODENA’s Country Manager for the Egyptian operations. He is an experienced engineering and operations manager with over 25yrs experience in the Oil & Gas Sector both on and offshore, 10 of which were specifically in the Offshore Operations support arena. Steve was instrumental in helping ODE establish a leading and highly successful Offshore Operations Support Base out of ODE’s Great Yarmouth office on the UK East Coast, covering all aspects of operating, maintaining and asset integrity, for a number of unattended gas installations in the UK’s Southern North Sea region. Starting work as an instrumentation draftsman, followed by obtaining a degree in Instrument Engineering, Steve has progressed through all levels of design / engineering and on to operations support including time as an Offshore Installation Manager and Operations Support Contracts Manager, before transferring to the MENA region. 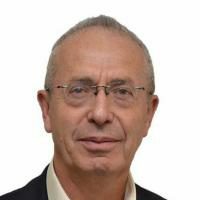 Ramiz El-Maghrabi has been the Operations and Business Development Manager for ODE’s Cairo office since 2008. As such he has been supporting the General Manager in the operational activities of ODE North Africa in order to meet the planned growth of the Region. His main focus is to develop business relations and secure new projects within the oil & gas sector covering both domestic and selected international areas. Part of his current role is to support to ODE’s Global Business Development Director through market research to identify and assess new and potential business opportunities. Ramiz has 18 years’ experience in the Oil and Gas industry, in sales and marketing, through participation in major offshore/onshore projects in Egypt and the region ranging between international IOC’s and local national & JV companies. He was responsible for marketing and business development of products and services prior to joining ODE with Geolog (a world leading surface logging services provider), Saipem (a global leader in drilling and EPCI [engineering, procurement, construction and installation] for complex projects both onshore and offshore), and Triangle Group (a local leader in the Egyptian market for various services related to Oil & Gas industry). Ramiz holds a BSc in Economics. 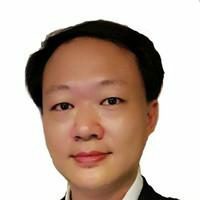 Dr Will Feng is ODE’s Country Manager, based in Taiwan, for Offshore Wind Projects. He has a doctoral degree in ocean engineering and a qualified engineering license in Taiwan. He has nearly 10 years of experience in geotechnical engineering, ocean engineering and renewable energy, including his role as a project manager with DNV-GL and an assistant professor at the National Taiwan Ocean University in Taiwan, where he lectured in renewable energies. Dr Will Feng joined the first demonstrator offshore wind project in Taiwan, as manager of the department of engineering and planning. He managed permitting tasks, including application for environmental impact analysis and franchise approval, required for the project. He also led the team to interface with the foreign and local subcontractor and complete the first offshore met mast design, fabrication and installation in Taiwan.